Thomas Essaye is a professional trader with more than 10 years experience trading foreign and domestic equities, commodities, currencies and bonds. Tom Essaye is the founder and president of Sevens Report Research. He began his career on the floor of the New York Stock Exchange for Merrill Lynch’s Institutional Equity Trading division, where he regularly traded multi-million-dollar orders for some of the largest mutual funds and hedge funds in the world. In early 2005 Tom left the floor of the NYSE to join an associate in starting a global macro hedge fund focused on investing in commodities and natural resource equities. At the fund he was responsible for all trading execution and in charge of the firm’s research and analysis team. The fund made highly successful investments in precious metals, agricultural commodities, energy and natural resource-related equities – placing initial long positions in gold below $500/oz., silver below $7/oz., corn below $2/bushel and buying shares in then little-followed equities such as Silver Wheaton, Newmont Mining, Cameco and EOG Resources. The fund also began investing in mining and resource companies in both Canada and Australia, as growth in the sector continued through the mid-2000s. Ultimately, half of the fund’s exposure was allocated to international equites. In 2007 Tom was early to realize the potential of shale drilling and began allocating heavily to natural gas producers and energy service companies that specialized in the new frontier of fracking and horizontal drilling. During his time as a money manager, Tom experienced the information overload that many investment managers and financial advisors experience. It was a search for accurate, unbiased, yet succinct market analysis that led him to launch the Sevens Report. Today thousands of financial professionals read Sevens Report Research products each day. Tom’s mission is to make sense of daily market moves so that advisors, brokers, traders and self-directed investors can make better investment decisions based on better research and analysis. Tom Essaye has earned a national reputation for his no- nonsense, straight-forward view of the market. He is a frequent guest on CNBC, Fox Business and Yahoo Finance and is widely quoted in the Wall Street Journal, Barron’s, USA Today, Seeking Alpha, NASDAQ and Bloomberg. He is a graduate of Vanderbilt University and received an MBA from the University of Florida. Tyler Richey is a professional trader with more than 10 years of experience in the financial markets and holds the Chartered Market Technician® (CMT) designation. He focuses on technical analysis across asset classes and quantitative trading systems development. 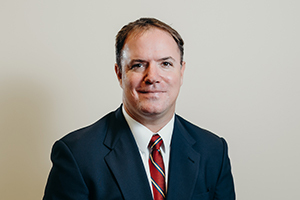 Tyler began his career in the markets as a financial advisor with Raymond James, where he worked with an experienced portfolio manager and learned the “old school” approach to money management. While working with some of the firm’s more aggressive clients, Tyler quickly discovered a passion for technical analysis and chart-based trading methods. 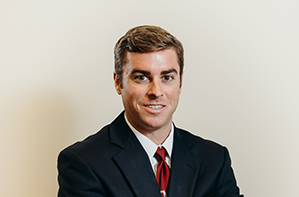 After several years with Raymond James, Tyler became an analyst for an energy broker on the New York Mercantile Exchange. He gained a strong fundamental understanding of the oil and refined product markets and extensive experience trading futures. In 2013 Tyler joined Tom Essaye at Sevens Report Research, where he is currently co-editor, with a special focus on the technical analysis of all asset classes across the firm’s subscription offerings. The dual approach—pairing Tom’s broad fundamental market view with Tyler’s detailed technical insights –helps provide Sevens Report subscribers with top-tier investment research daily. In addition to Sevens Report Research, Tyler provides analytical services for private investment deals in various industries, including commercial real estate, restaurants, media, agriculture and land management. He is regularly featured in several industry publications, including the Wall Street Journal, Barron’s, MarketWatch and Reuters. Tyler currently serves on the Finance Committee for the Young Friends of the Peggy Adams Animal Rescue League in West Palm Beach, Florida. He is a candidate for the USDA’s Advisory Committee for Beginning Farmers and Ranchers.